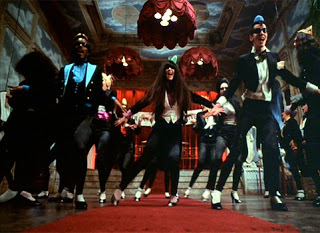 Emerging from the Time Warp… – What Book is That? Anyway! I’m back! It’s been a busy summer, filled with work, studying, and travel to interesting places. 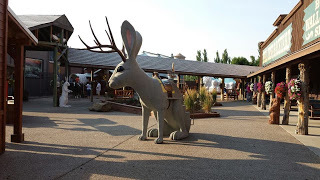 Places like Wall, South Dakota, where they have a giant statue of a jackalope. No, really. Doing stuff and making things and generally being out and about means that I haven’t been checking in here. I know right? Cue the dramatic noises! Time was I would have been really worried about this. Even though I haven’t written anything myself I still check in with my feed reader on a daily basis and it seems like I’m not alone in this. Will people stop reading if I stop writing? Are they even reading anyway? The point is, I have been reading some excellent books lately, and I’ll be doing another roundup of reviews. I kind of like that format actually- checking in every five books or so and then you, dear readers, get a bunch of quick reviews all at once! Plus with the impending start of the school year it’s probably not a bad deal to have some kind of a plan for when I want to write about books but just don’t have the time. Plans are good, right? Anyway, I didn’t forget about you guys, and I’ll have more to say in future posts. Stay tuned! Everyone Loves a Read-a-thon- Library Books Read-a-thon!